What's better than our already low photography backdrop pices? 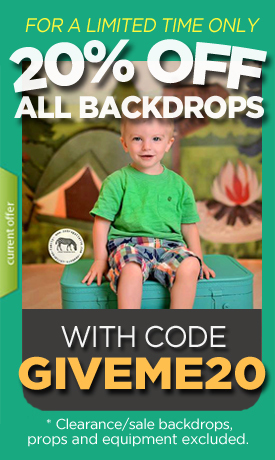 Getting 2 backdrops at an even more discounted rate! We've paired some of our most popular backdrop designs together for two reasons. One, they simply look great together as a set! Two, ordering a 2 pack combo is cheaper than ordering 2 backdrops separately so why not order a combo? Go ahead... stock up and smile knowing the price is just right.